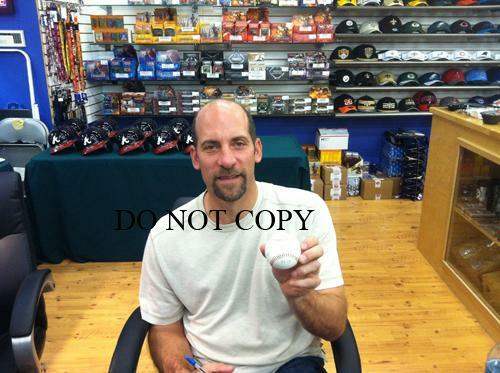 One of the most dominant pitchers of his time - both as a starter than as a closer - John Smoltz as the Ace and the anchor of many Atlanta Braves pitching staffs. 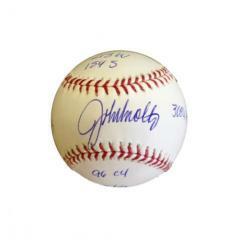 This official Major League Baseball is autographed by John Smoltz, who inscribed the ball is a number of his pitching stats - many of which are among the tops among all pitchers. 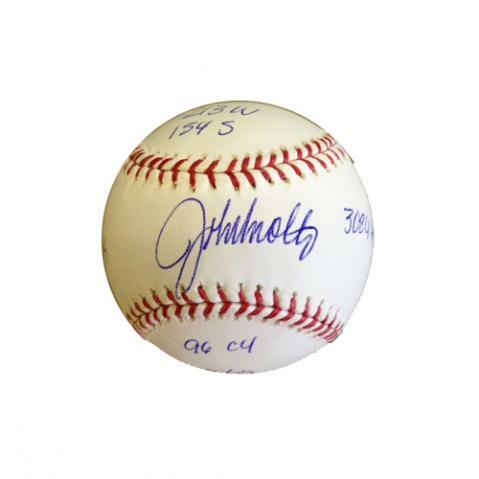 Many expect Smoltz to receive induction into the Hall of Fame, which makes this ball that much more desirable. 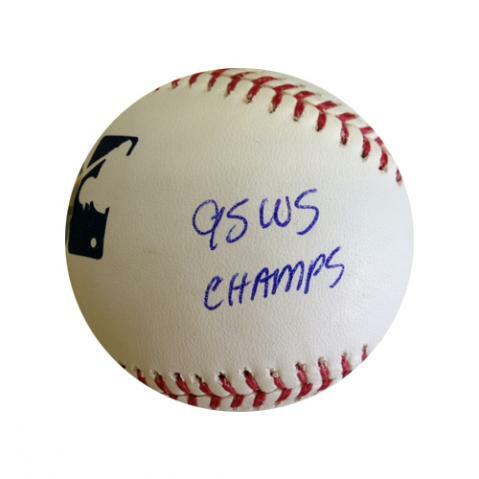 These have never before been offers and only 29 of these baseballs are available - each comes with a Letter of Authenticity. 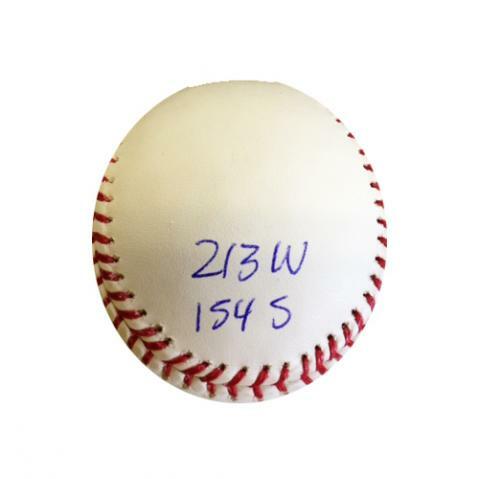 Due to the rare nature of this ball we must charge your credit card for the full price immediately upon taking your order. 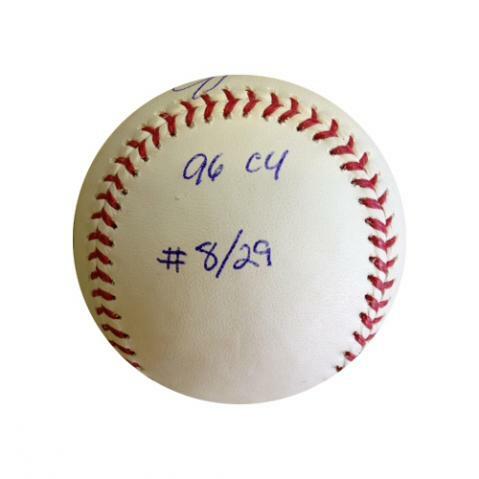 This policy ensures we reserve this item for you. We will confirm your order by Email. This bat is not game used. Please allow at least 2 weeks for delivery.